As far back as I can remember I have always enjoyed working with my hands. 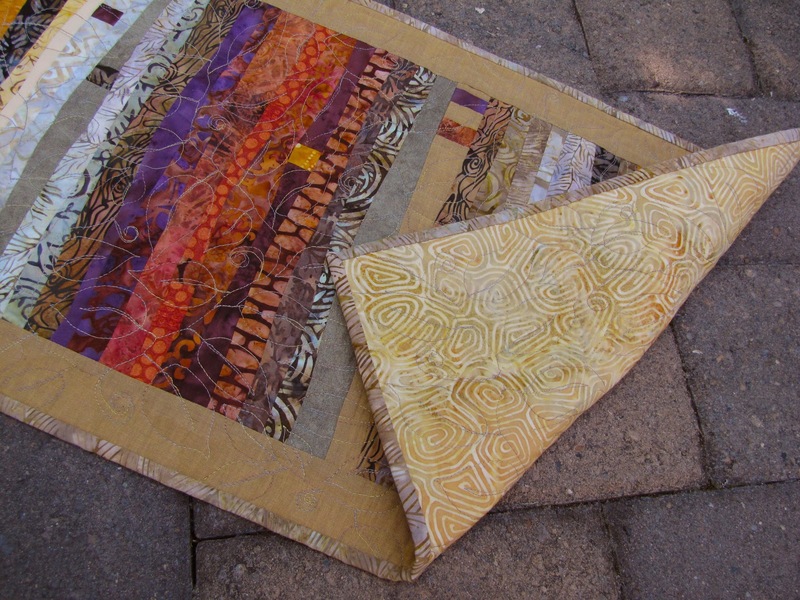 In the most recent years this has manifested itself into two obsessions - gardening and quilting. I thought this blog would be a good place to store photos and some short narratives of my progress in quilting. The perfect therapy for days when I can't get out in the garden. I owe my introduction to modern quilting to Hiromi Ota. In February 2011, during a visit to our family vacation home in Sisters, Hiromi asked if we could go to The Stitchin' Post as she was interested in taking some quilting classes. By the time we left the store we had both signed up for Jean Wells' Colorwork Table runner workshop. Below is the project I made from that workshop. The next few months found me sewing more table runners as gifts for family and friends.